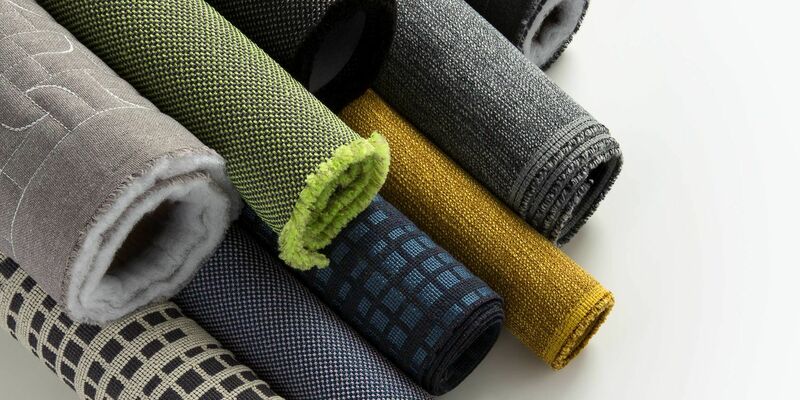 Luum Textiles announced today that its new Tactility Collection was honored with two awards and was recognized as a HiP Awards finalist at NeoCon, North America’s most important commercial design show held annually in Chicago. Tactility earned Silver in the Best of NeoCon Awards, Textiles: Upholstery category. The collection was named a Winner in the Metropolis Likes NeoCon Awards sponsored by Metropolis magazine. Tactility was recognized as a Finalist in the Workplace: Fabric & Textiles category of the HiP Product Awards sponsored by Interior Design magazine. Suzanne Tick, Creative Director, Luum Textiles, was honored with a HiP People Award at NeoCon, which honors commercial industry pioneers. Tick was named Winner of the Manufacturer: Leader category. Tactility explores textural and dimensional surfaces that influence the way we experience touch, sight and sound. Through multi-purpose and multi-directional fabrics that respond to both our logical and intuitive needs, Tactility embodies emotional design thinking expressed through a comprehensive color palette. The collection – Arc Angle, Equilux, Superspun and Interstice – considers the diversity and expressive nature of a surface through fiber, structure, color, pattern and dimension. It offers new classics, modernized through color, texture and pattern. Patterns and constructions are inspired by time-honored textile techniques, such as quilting, moire effects and spinning. The palettes reflect a more nuanced and experimental approach to color by offering a broader selection of softer shades and tech-inspired brights. The winners of the 2018 Best of NeoCon Competition were announced on Monday, June 11, during an awards breakfast in Chicago. Eighty-one awards were distributed in this year’s competition of contract furnishing products, including eight Innovation Awards. The competition is sponsored by Contract magazine, NeoCon and The McMorrow Reports.